Thomas Larzillière, CEO at Keepeek, spoke about how lean can support a fast-growing software company doubling its delivery at Lean Digital Summit 2018. At Keepeek, techniques like pull flow, Plan-Do-Check-Act (PDCA), and Red Bin are used to analyse discrepancies. Improvements are prioritised on customer impact. As a result, their throughput increased significantly, customer satisfaction went up, and their NPS improved. Major improvement activities in the past did not yield very much in terms of productivity at Keepeek. They had a tendency to spend a lot of time trying to fix problems they did not have, rather than attacking the true points of concern, said Larzillière. As a result, they began to have doubts about our ability to improve delivery and fulfil their commitment to their customers, he said. Larzillière mentioned that lean can be considered as a toolbox, with different techniques for adopting a lean approach. The techniques need to be adapted according to the needs of the organisation, he argued, which must be managed so as to be combined effectively. At Keepeek, they adopted the pull flow, PDCA and Red Bin tools. InfoQ interviewed Larzillière about applying lean at Keepeek to improve delivery, the challenges faced, and the benefits received. InfoQ: What was the problem that you were facing at Keepeek? Thomas Larzillière: Our company is growing rapidly with an average annual growth rate of 30%. We not only deliver software from our R&D efforts, but also provide a variety of services in the implementation of our projects. This implies consulting services, project management and the integration of our software with other customer applications, including their E-commerce sites. These deployments require significant time investment and meant that our teams were having a hard time managing the projects arriving on a weekly basis. We have had on occasion more than 80 open projects for a team of six project managers. InfoQ: How did you apply lean at Keepeek? What challenges did you face along the way and how did you deal with them? Larzillière: The first difficulty was to find a method for prioritising our improvement initiatives. During internal discussions with our employees, we highlighted a score of important issues but experienced great difficulty in prioritising them. We were looking at the problems from the inside-out and were unable to arbitrate. The first major action taken was to change our point of view and measure the impact of our organisation on our customers. We sign three new projects per week; OK, we need to be able to deliver three projects per week. We want to know if customers like our work; OK, let’s measure customer satisfaction after each project. In both cases, we set an objective to be achieved. In the event that we were unable to achieve the objective, we asked ourselves why and then took measures to improve on this. It is in keeping with this logic that we implemented the PDCA (Plan Do Check Act) technique. The list of improvements is a direct result of the discrepancies noted with our delivery standard. The pull flow system, however, imposes a weekly pace and is the answer to a simple equation: if I sign three projects per week, then the team needs to organise themselves so as to finalise three projects per week. This has become the point of concern for the entire delivery team at our daily stand up meeting: how are we going to organise ourselves this week so as to be able to deliver these three projects? Finally, we implemented the Red Bin technique in order to improve the quality delivered. The teams complained on a regular basis about the quality or lack thereof in the project specifications. In particular, the developers found that the specifications produced by the project managers needed improvement. To objectively measure these difficulties, we worked to better define work standards through the use of a checklist. Next, we implemented the Red Bin method for quality assurance throughout the chain of production, as well as to be able to quickly identify the defective "parts" in order to fix them in a timely manner. Every time someone in the chain of production faces a difficulty to complete a task - for instance, because of missing information in spec documentation, the task is flagged and goes in a Red Bin. This is the virtual equivalent of the bin in which you would sort out defective parts, in a factory line. The content of the Red Bin is then analyzed on a daily basis, simultaneously by the team who delivered the input and by the team in charge of processing the task. We identify the root cause of the problem and immediately adapt our process to make sure it doesn’t happen in the future. The number of items put in the Red Bins is a great KPI to monitor our quality improvement. InfoQ: What benefits did lean bring? Larzillière: Within six months we went from delivering two projects per week to delivering 3.5. From a financial standpoint, this translates to an increase from €60,000 in projects per month to €80,000. This represents €240,000 per year, or 8% of our turnover. Interviews with our customers (Voice of Customer) enabled us to go from a satisfaction score of 6.5 to 8.1 / 10. This, in turn, had a positive impact on our NPS. Finally, in terms of creating customer loyalty, these same interviews also helped to detect three customers who were having some real difficulties, and thus deal with their problems. 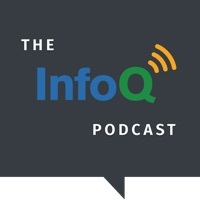 InfoQ: If InfoQ readers want to learn more about lean, where can they go? Larzillière: I do not really think there are any recipes or tips that can be mirrored. Lean is a state of mind, as explained by Dan Jones and Jim Womack (Lean Thinking, 1996). It’s mostly about maintaining that state of mind. For this, I would recommend reading some reference books (Mike Rother’s Toyota Kata, The Lean Turnaround by James P. Womack, Rework or It doesn’t have to be crazy at work by Basecamp team or even Lean from the trenches by Henrik Kniberg). I’d also suggest attending conferences, to benefit from others experiences and share best practices. The blogs of Operae (in French) and #hypertextual (in French and in English) are also excellent sources, especially the latter if you are looking for articles in English.